The OBD-I (On-Board Diagnostics I) system was introduced in the early 1980s. The fundamental elements of the OBD-I are the electrical components (which influence exhaust emissions) that are monitored by the engine management system. An optical warning signal is given in the event of an OBD-I relevant failure. This fault can be read out by way of a flashing code. OBD-II has been compulsory on all vehicles in the US market since January 1996. EOBD (European On-Board Diagnostics) is the European equivalent to OBD-II. It was introduced in 2000 and became effective in January 2001. 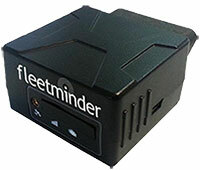 A vehicle’s OBD port can now be used with a GPS tracking devices as a simple, easy to connect method for vehicle’s owners wanting to track their asset. In order to get OBD GPS Tracking Devices to work we need to understand the various OBD types and protocols. Each protocol uses different pins to communicate with external scan tools. Some pins are mandatory, and some are optional, depending on the vehicle’s protocol. The connector may have other pins populated that are unimportant. 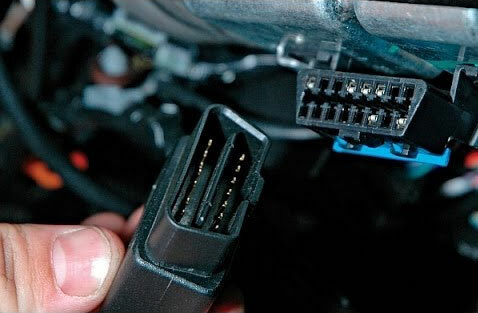 The OBD II connector has 16 pin locations which are numbered as shown below. If pins 5, 6, 14 and 16 are populated, the vehicle supports CAN. If pins 5, 7, 16 and, optionally, 15 are populated, the vehicle supports ISO or KWP. If pins 2, 5 and 16 are populated, the vehicle supports VPW. If pins 2, 5, 10 and 16 are populated, the vehicle supports PWM. *Pin 15 (also called the “L-line”) is optional in newer vehicles that use the ISO9141-2 or ISO14230-4 protocols. VPW The connector must have pins 2, 4, 5, and 16, but not 10. ISO The connector must have pins 4, 5, 7, and 16. Pin 15 may or may not be present.